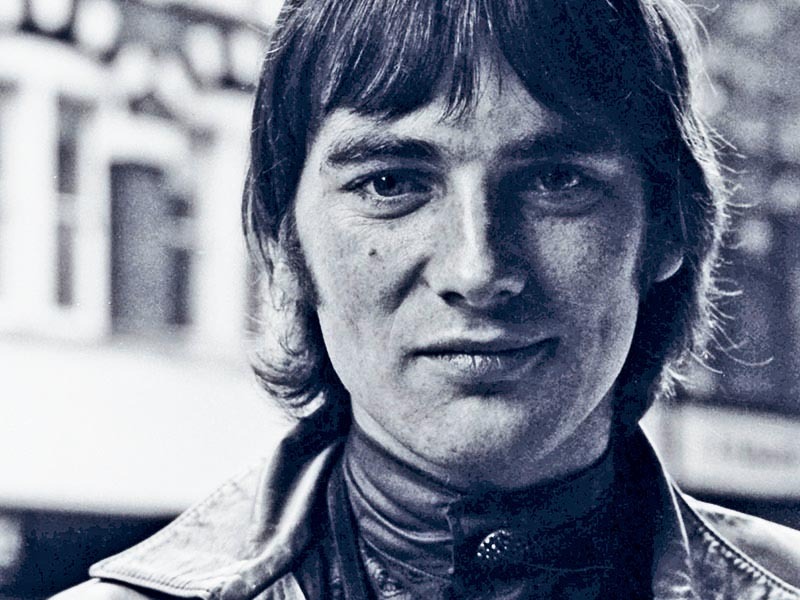 Perhaps best known for co-founding Traffic with Steve Winwood, Jim Capaldi and Dave Mason, Chris Wood was self taught on saxophone and flute – although he was also an accomplished keyboards player and bass guitarist too. And a fine artist as well; from Stourbridge College of Art, Chris was accepted by the Royal Academy in 1965 where he ultimately faced the choice – music or art. Via The Steve Hadley Quartet, he moved on to other Midlands-based bands – Shades Of Blue which included pianist Christine Perfect (later McVie of Fleetwood Mac) and then Locomotive with Mike Kellie (Spooky Tooth). Knowing Steve Winwood from The Elbow Room in Birmingham as well as through his sister Steph who designed clothes for The Spencer Davis Group led, eventually, to the formation of Traffic which evolved from out of hours jam-sessions at The Elbow Room. Traffic decamped to an isolated farmhouse (The Cottage) on the Berkshire Downs. Success came with their first single (Paper Sun) with their first album (Mr Fantasy) being issued in December 1967. The group split after releasing their second album with Winwood joining Eric Clapton in Blind Faith. Wood and Capaldi reunited with Dave Mason to form the short-lived Mason Capaldi Wood and Frog before Chris left for America where he joined Dr John and toured the US. On his return to Britain, along with Winwood, he joined the first version of Ginger Baker’s Airforce, playing two gigs and releasing one album. After which Traffic – as a three piece – reformed. Chris introduced the traditional ballad John Barleycorn to Capaldi and Winwood and it became not only the title song to Traffic’s next LP but a lynchpin of their concerts for the remainder of the group’s life. Close friends with Jimi Hendrix, Wood played on his Electric Ladyland album as well as contributing to records by Free, Fat Mattress, Sky, Noel Redding, Third World, John Martyn, Gordon Jackson, Crawler, Jim Capaldi, Rebop Kwaku Baah, Bobby Whitlock and many others. He met his wife via Hendrix (she was part of Jimi’s inner circle) – Chris and Jeanette Jacobs were married in November 1972 at Kensington Registry Office in London. Traffic folded after the release of the When The Eagle Flies LP in 1974. In the years that followed, Chris took tentative steps toward recording his own LP but, plagued by addiction and his wife’s serial infidelity while progress was made, it was slow. Eventually, an album was completed and sequenced in October 1978 but, for reasons which remain unknown, Island chose not to issue it. In the mid-80s the 1/4″ masters disappeared and remained missing until 2013. Jeanette (from whom he was now separated) died of a seizure on New Year’s Day 1980 – she was 30. Chris was affected by her death as deeply as he was by Jimi’s passing as well as other close friends like Paul Kossoff and his erstwhile band-mate Rebop Kwaku Baah. Never to completely shake his dependencies, Chris Wood died in Birmingham’s Queen Elizabeth Hospital on the morning of July 12, 1983. Three weeks earlier, he had turned 39. Traffic’s Far from Home LP, issued in 1994, was dedicated to Chris – the front cover shows a solitary stick-figure playing a flute.